I’m having trouble being articulate today, so when I am inarticulate, I make lists about books. 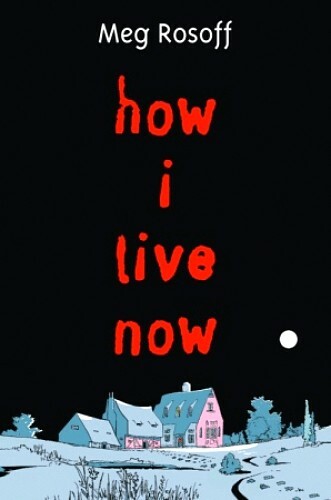 Here are 7 things that I felt while reading How I Live Now by Meg Rosoff. 1) Strange narration style, but not in a bad way. There is an abrupt shift at one point and it’s confusing, but okay. 2) The narrator is annoying and her problem in the novel is totally ultimately totally unnecessary and I wish it had been cut out. EDIT: As unnecessary as that second totally. 3) There is a war. We don’t know why. I didn’t care and actually really like that it was never explained. 4) Too much talking, walking and reacting. Not enough action. 5) SADNESS. Lots of it. 6) Parenting fail, but at least the lack of any kind of adult figure is explained. 7) Cousin love! That is somehow not creepy? Does all that equal a recommendation? Mostly. I love that the war was never explained. But YES! The cousin love was totally creepy! I do not know why it is creepy in How I Live Now and not creepy at all in Mansfield Park but that’s the way it goes. The world has changed. Cousin love is always creepy. No questions. Are you around this weekend? Christ is coming to visit and we should all hang out. Maybe take her on a trashy expo of the strip during the nighttime? I tried reading this last year. The narration was so abrasive that I gave up after 30 pages. I managed to finish but was very meh about the whole thing. (Wait, not true…Billy and I were quite upset about Ding.) Then I sent it to Amanda, who never finished. I think maybe I had a tainted copy. I read and finished this one in 2009, but I can’t recall too many of the vivid details now — beyond scary scenes where animals are dead, war is happening and familial feelings are felt. Hmm. So I guess I remember more than I thought! It’s a short book and I read it quickly… in one night, I think. But I don’t know how I ultimately felt about it. Oh, well — apparently, I really liked it. Isn’t it funny how much our feelings can change a while after reading something? It almost makes me wonder whether it’s better to review a book immediately after finishing it — while it’s still fresh in your mind but emotions are high — or wait until you’ve had time to let it settle, pondering different parts of it. I read it a few years ago and I thought it was okay. 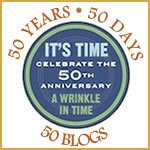 There are many bloggers who loved it, and so I aloways feels I should try again some day. I read this a long time ago, and I felt meh about it. But I do want to give Rosoff a second chance…I don’t like dystopian novels in general (before I read this, I thought it was set during WWII), so she was at a disadvantage. Her book set in Victorian England sounds awesome! It’s been a few years since I read this, but I remember liking Piper.